Over a quarter century, Trent Reznor, the subject of our annual Icon Issue this year, has slashed one of the most unlikely paths toward music industry success. In 1989, Nine Inch Nails’ debut Pretty Hate Machine made industrial accessible, going three times platinum in the process. In 1994, a year dominated by soft acts, NIN’s The Downward Spiral offered a harrowing vision of sadomasochism and suicide, and still charted #2 on the Billboard 200; 1999’s The Fragile went on to claim the chart’s top spot. In the decade since, whether he’s boldly collaborating outside his genre, experimenting with digital distribution, producing award-winning soundtracks or creatively helming a forthcoming digital streaming service, Reznor has remained profoundly relevant in a way few of his contemporaries have. After a four-year hiatus, this fall the tortured virtuoso marks a triumphant return to NIN with Hesitation Marks, an album that harkens back to the project’s earlier records without losing any forward-facing momentum. The band’s ninth release is the latest milestone in the brilliant career of a musician who’s never compromised his terrifying vision. 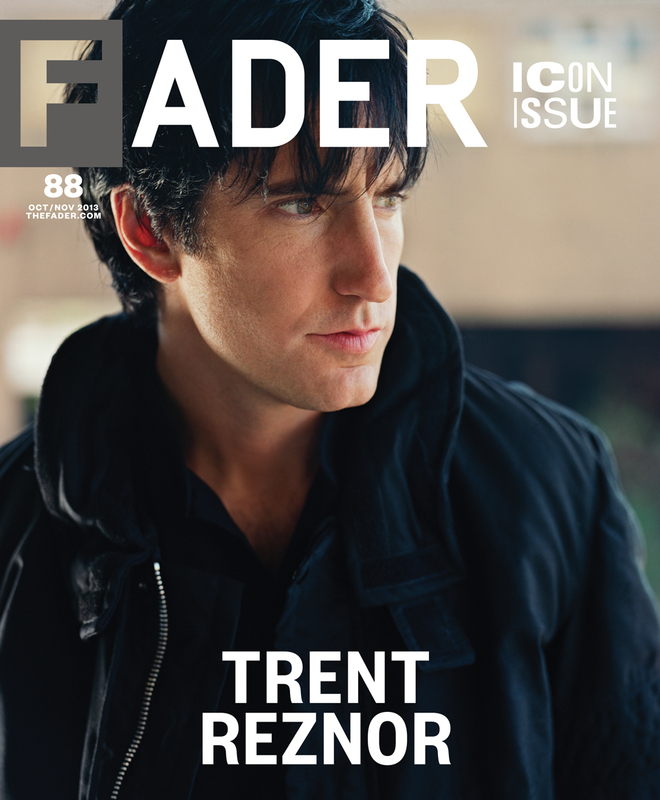 FADER's Icon Issue hits newsstands on October 15th, but you can read all of its Trent Reznor features now. 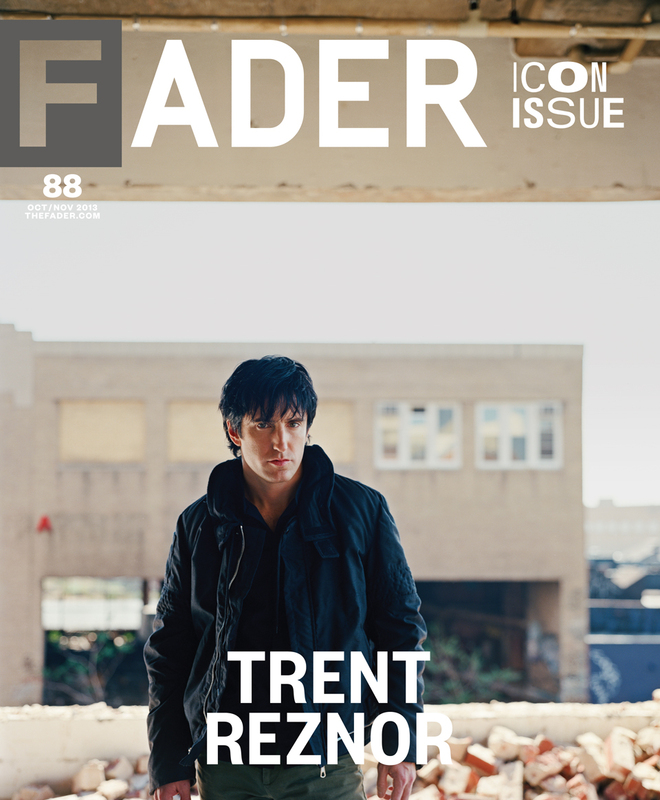 For this issue, Trent Reznor spoke with Andrew Nosnitsky about his first synth, social media, EDM and reinvention. We talked to 14 of Reznor's colleagues for an oral history of Nine Inch Nails, and to director David Fincher about Reznor's movie scores. We looked at nine NIN artifacts and their design influences, and profiled three three young artists who, like Reznor before them, use today's technology to predict music's future. Essayist Daphne Carr investigated the parallels between Reznor's life and his songs, and photographer Ross Mantle photographed landscapes in Reznor's hometown. Find links to those stories below, along with audio excerpts from the issue's centerpiece interview, where Reznor talks about Kanye West, Disclosure and avoiding nostalgia. Download hi-res versions of this issue's front and back covers.